Peña-López, I. (2017) “Case study. 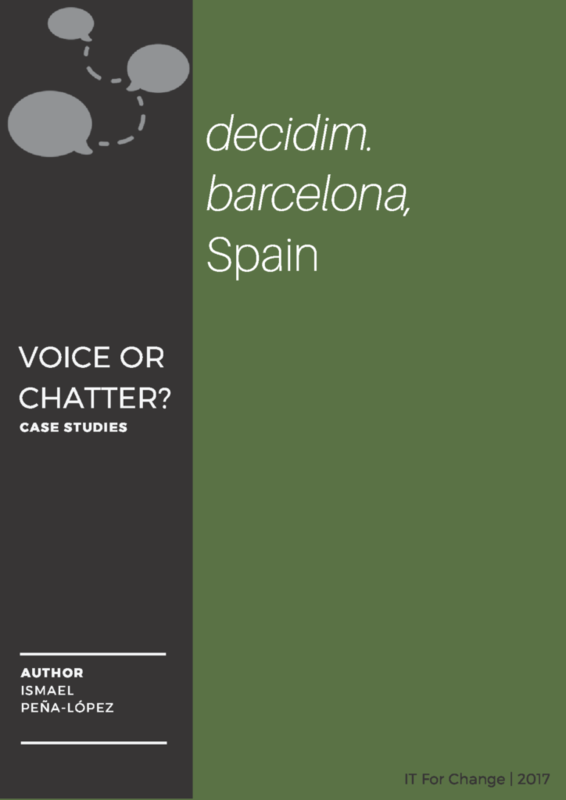 decidim.barcelona, Spain” In ICTlogy, #169, October 2017. Barcelona: ICTlogy. Next post: Appropriating Technology for Accountability (I). Rosie McGee: What roles do and don’t technologies play in citizen voice and transparency for achieving accountable and responsive governance?